Few saw it coming when Stephen Rochford parted ways as Mayo boss, and even fewer envisaged that he would resurface as a coach with Donegal, but Declan Bonner's men are already reaping the rewards. Rochford's latest managerial chapter has been a positive one with the Ulster champions immediately returning to the league's top tier despite a topsy-turvy campaign in Division 2. Donegal defender Stephen McMenamin is confident Mayo's loss will continue to be their gain and believes Rochford can push them to the heights Mayo scaled when reaching two All-Ireland finals on his watch. "I would 100pc believe that he can bring us there and I know that he 100pc believes in us because he is coming from Mayo three days a week and why would you be doing that unless you believed in us?" McMenamin said of his Donegal hopes for 2019. "Everyone has massive respect for him. They definitely do, from what he did with Mayo. They fell short but everyone knows what he is capable of, he is a great man." The Red Hughs full-back views Rochford's addition to their backroom team alongside former Donegal star Karl Lacey as "a massive bonus" with a neutral voice spurring the squad on. "He comes in and he takes the training and he is just aware of the tactics that need to be brought in. And he has bought into it 100pc, massive addition to the backroom team," McMenamin added. Pedigree "Him and Karl Lacey work very well together and it is just good to have him in. Someone of his pedigree coming into the backroom team drives players on to impress him. He is a new man coming in and he is not going to be biased. "He is going to see whoever is playing well and he is going to play them. He is a completely new face there. He sees who is training hard and who is not. "The team is picked on that; whoever is training well, plays. No matter who you are. He would see that a lot better than Declan or Karl, because they have been there." 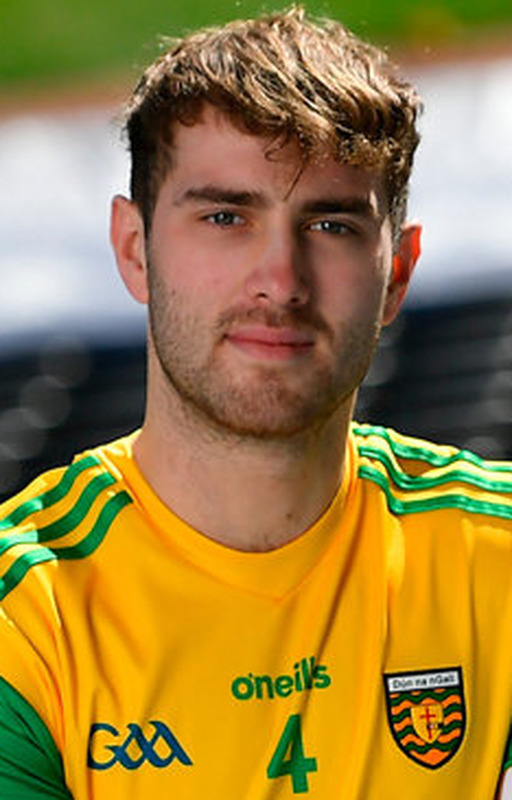 Donegal have been without cruciate victim Patrick McBrearty thus far in 2019 but McMenamin - who is studying construction management in DIT - reports their star attacker to be edging closer to a return ahead of Saturday's Division 2 final against Meath. "Paddy has been back running and back training. I'd say Paddy's plan is to be back for championship first round against Fermanagh. Paddy knows himself that if he's not right, he won't be risking it. "He's easing himself in, he's not going to go full tear at anything."